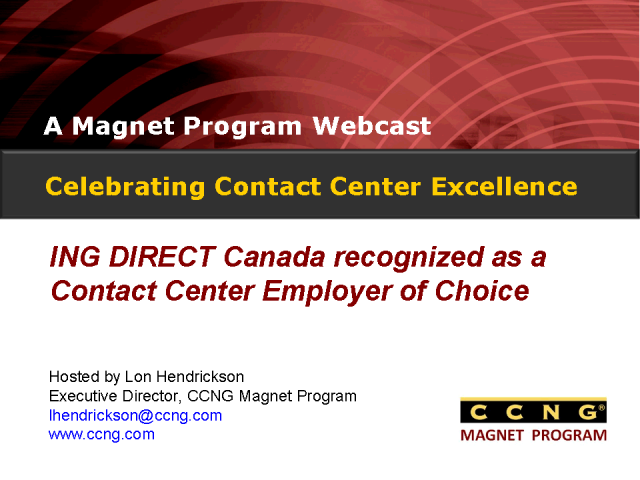 ING DIRECT Canada has earned the Contact Center Employer of Choice "Gold" distinction for 2010. We are pleased to help celebrate their achievement and recognition. Join us for a brief overview of their achievement.